Hardwood floors are looked at almost as a standard in modern designs, although many of today’s floors aren’t actually wood. Engineered hardwood (thin wood atop plywood), vinyl wood-look, laminate wood-look, and, of course, wood-look stone tiles, the actual wood doesn’t seem to be nearly as important as the look. Today, we’ll take our own look at why the benefits of wood-look stone outweigh the hassle of real wood. Choosing a lackluster flooring type, such as laminate or vinyl, has become a popular alternative to hardwood. Not only are these types of flooring far less expensive, but only experienced eyes can discern the difference between the high-quality versions of these and real hardwood at a glance. These types of flooring, however they may appear, don’t offer nearly the benefits that hardwood and stone floors offer, making the real stuff and wood-look stone a far better choice for longevity, appearance, durability, and more. While it may dominate laminate and vinyl, hardwood has many flaws; it can scratch, bow, shrink, grow, chip, wear, and more. Wood is not a material that is known for its strength or longevity, only its abundance and ease of use, so obviously hardwood flooring shares those same traits. Stone floors, however, are built from a durable, long-lasting material that can be treated to look and feel like almost anything. 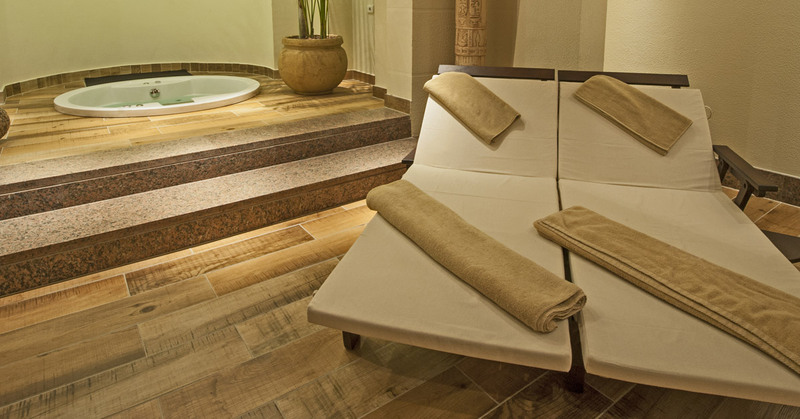 Wood-look stone tile floors are easier to maintain, almost impossible to stain or ruin, and can be completely uniform, whereas wood lacks all of those benefits. In the San Fernando area, there are enough tile layers to make the installation of stone tile floors less expensive than a hardwood application without the 6 to 8 weeks it takes to acclimate wood to a home. The possibilities with stone wood-look tiles aren’t limited to stain or grain, they can look like just about anything. If you want to go for the look of using multiple different wood types or grains, you would have to order numerous types of hardwood flooring or could go for a single stone that can look exactly how you’re envisioning. For unique applications, wood-look stone costs far less than hardwood and still carries all of the benefits listed above. Even expensive woods, like reclaimed, antiqued, and rare woods, like mahogany, can be easily replicated for a timeless durable imitation. Regardless of the wood-look you choose, visit Transworld Tile’s floor tile experts for your San Fernando or Thousand Oaks flooring. Our large showroom and online selection are home to floor tiles of all shape, sizes, material, color, and composition. Best of all, our friendly staff is always available to answer any questions you may have about how a tile will look and perform in your home or business.